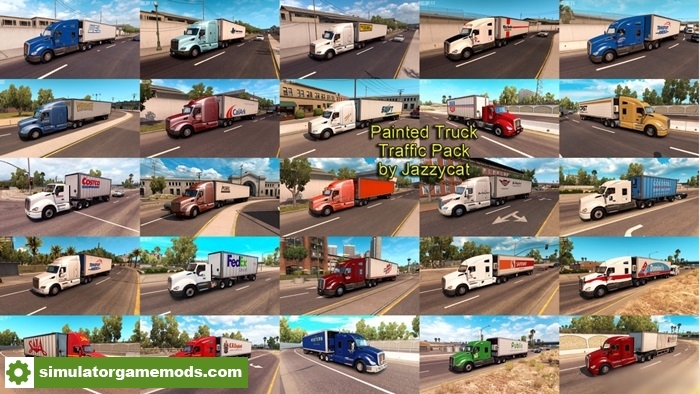 Pack adds in traffic truck+trailer combo with skins of 24 real companies. Some skins by Pauly, Hounddog, Dogface, R3AP3R, Fid. Version 1.2 – added new companies: Transport America, Pohl Transportation, Gordon Trucking, Heartland Express, CalArk, Wel Companies.